The first volume of Luther’s Church Postil (LW 75, sermons for the church year) is out, and I hope you’ve been enjoying it. Recently, I’ve had the pleasure of reviewing the next volume of the Church Postil, and as I did so, I became very aware of Luther’s preaching style. Luther’s preaching was popular at his time, but why? I think readers of these sermons and all preachers can benefit by understanding the basic structure of how Luther preaches. Summary of the text. Luther begins with a brief summary of the text, never with a story, analogy, or statistic. He goes straight to the Bible text and summarizes it in a sentence or two before moving to a more in-depth study. What this passage says and means. Luther explains what the important words mean or restates the passage in his own words. This is usually quite short. Application to himself and his hearers in faith and love. Here Luther directly applies the text to his people at his time. If the Bible text is Law, he explains what the people are to do or avoid, in plain words. If the Bible text is Gospel, he explains the forgiveness and mercy of God in Christ, again in plain words. The important point is that this is not just something that happened back in Bible times; it applies to the hearers right now. This means that Luther is deriving the doctrine from the text and setting it forth for the people to believe, or he is deriving the moral teaching from the text and setting it forth for the people to do. The next few points are not always present for each Bible verse or section. Luther uses them like tools to communicate the verse or section under consideration. Illustrations. Luther gives illustrations of the moral teaching or the doctrine being discussed in the Bible passage. These illustrations are often biblical. Antithesis. The rhetorical device of antithesis is the practice of setting forth the opposite, so that what God’s Word teaches is understood by the contrast. For Luther, antithesis takes the form of negative illustrations of sin and false doctrine. Luther can be quite vehement here. His goal is to show how shameful sin and false doctrine are and to make the people loathe sin and false doctrine. This is where Luther often attacks the monks, pope, fanatics, popular false beliefs, vices, and superstitions. Apparent contradictions. Sometimes Scripture seems to contradict itself. In such cases, Luther spends some time resolving the apparent conflict and explaining the possible ways in which the text should be understood so that one part of Scripture is not read in a way that conflicts with other parts of Scripture. This helps his hearers to understand Scripture in its canonical context and to let Scripture interpret Scripture. Allegories. As the final part of the sermon in the Church Postil, Luther often adds the “hidden meaning” or allegories. Allegories are used only with histories, and Luther does not use them to prove doctrine, but rather to illustrate what he has already taught from the literal sense of Scripture. He usually applies these allegories to the conflict of Satan against Christ, of human teachings against the preaching of the Gospel, or of salvation by works against salvation by faith. These allegories seem sometimes to be influenced by traditional, patristic readings of the text (such as the interpretation of the gifts of the Magi in the Epiphany Gospel). But at other times they could be Luther’s own inventions and can be just as fanciful as any allegory one reads in the early church fathers. That said, Luther’s allegories always are in harmony with the broader message of Scripture (the “analogy of faith”), and so his allegories are effective in illustrating doctrines that are found clearly stated in the literal sense of Scripture. Admonition. As an appendix, many of Luther’s sermons outside of the Church Postil also include an admonition. The admonition was essentially moral teaching, ethical encouragement, or even rebuke of sin, given as the last word of the sermon. This admonition often was related to the text for the sermon, though sometimes it was unrelated. It was a point that Luther felt had to be addressed for the common good of the parish and community and could not be put off until a later time. Modern Lutherans, having learned from C. F. W. Walther to end their sermons with a word of Gospel and grace, will likely find this disturbing. Luther did not hesitate to leave his hearers with the Law—as moral teaching, encouragement, or rebuke. Rather than focusing on ending each sermon with Gospel, Luther was more interested in following the shape of the text at hand. If the text was mostly Law, Luther preached mostly Law. If the text was mostly Gospel, Luther preached mostly Gospel. And Luther also had no problem with concluding a sermon by telling people what God wanted them to do. In Luther’s mind, at least, this did not entail a confusion of Law and Gospel. Rather than dismissing Luther as one who was unable to preach the Law-Gospel distinction that he taught elsewhere, we would do well to see why Luther preached this way and consider whether we have not misunderstood what the distinction of Law and Gospel is all about. A final thought about Luther’s preaching: The reformer studied and prepared for his preaching, but he did not preach from a manuscript. Instead, he usually preached from a brief outline or notes. Stenographers recorded his sermons, and then sometimes these shorthand, Latin-German notes were filled out and put into print. For an excellent example of how Luther’s preaching went from an outline to stenographer’s notes to print, see LW 69:373–401. 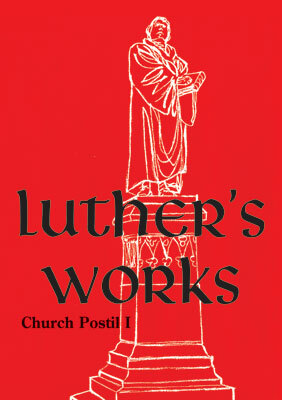 Become a subscriber to Luther’s Works and save! The new volumes of Luther’s Works American Edition are currently priced at $49.99 each, but as a subscriber you pay only $34.99, a 30% savings. 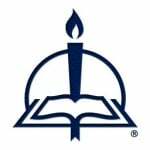 To become a subscriber or for additional information, go to cph.org/luthersworks . At CPH since 2006, Benjamin Mayes has served as the managing editor for Luther's Works: American Edition, the general editor for Johann Gerhard's Theological Commonplaces.